Construction is moving right along with step 4. Things are pretty straight forward here and involve the installation of supports under the edge of the floor as well as a railing. The Japanese text begins with a reminder that the side of the building with the door is the front. This entry was posted in Non-Ship Models, Shinmei-zukuri shrine, Woody Joe and tagged Japanese Shrine on May 3, 2017 by catopower. 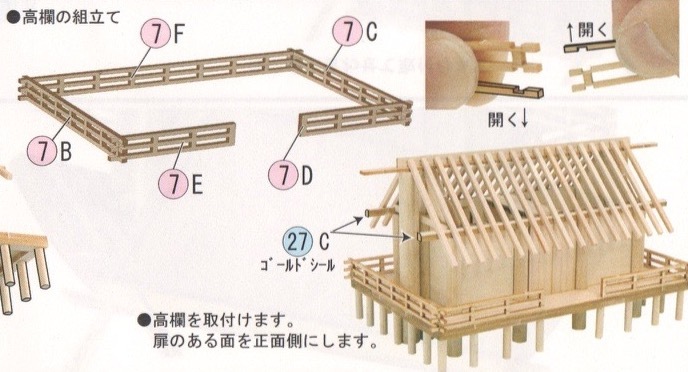 Last time, I finished step 2 of Woody Joe’s Shinmei-zukuri shrine kit, which dealt with the basic core structure of the shrine. In Step 3, I’ll start work on the roof and some of the outer details. 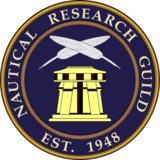 Reviewing the instructions for the next task, parts 9A, 9B and 9C will be needed, noting again that there are two of parts 9A and 9C, but only one 9B. 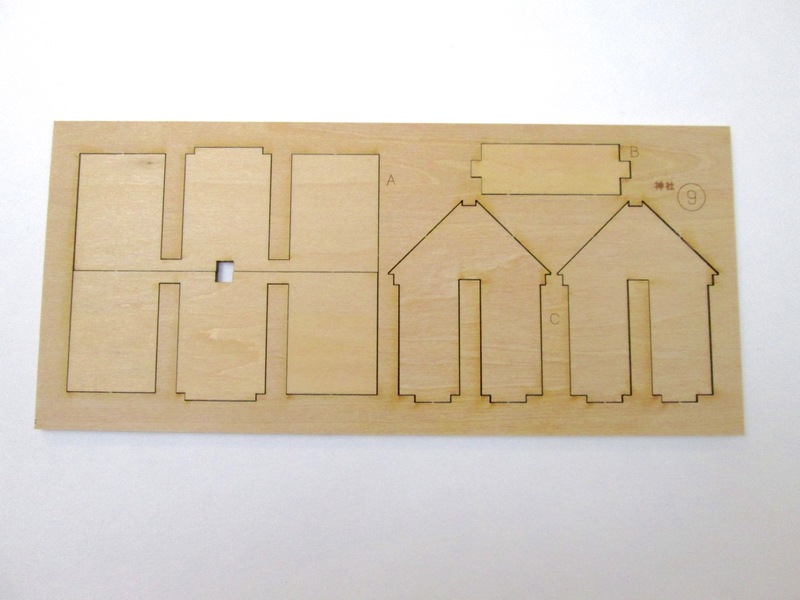 Again, these are laser-cut piece on sheet number 9. This is in a different bag, but again, the bags are clearly marked and so are the individual sheets as you can see below. 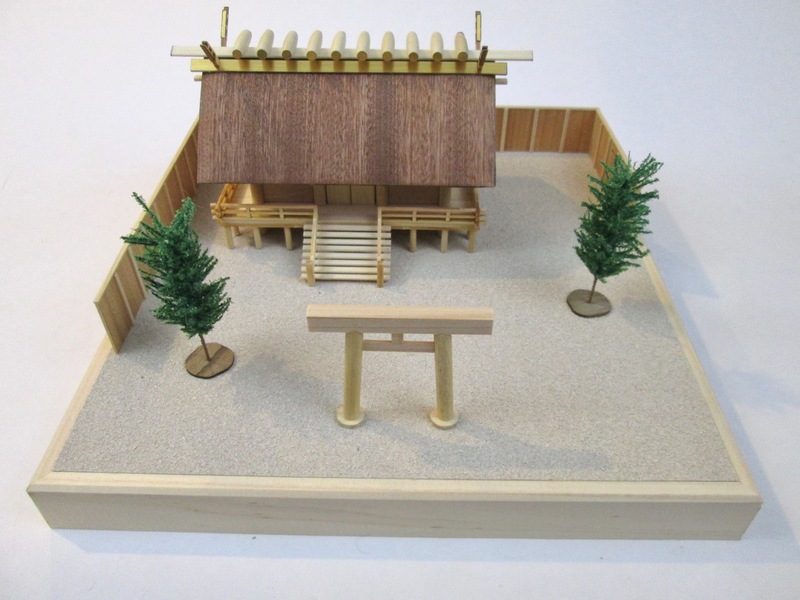 This entry was posted in Non-Ship Models, Shinmei-zukuri shrine, Woody Joe and tagged Japanese Shrine on May 1, 2017 by catopower. 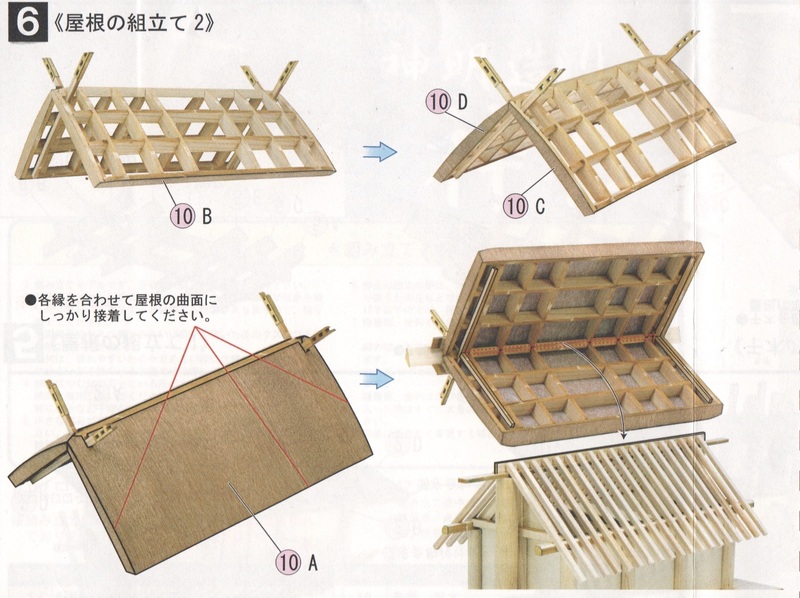 Last time, I started Step I of Woody Joe’s Shinmei-zukuri shrine kit. I tried to cover everything needed to understand the built up to that point. With all the description and explanation, we didn’t get to the end of the first step, so we’ll taking care of that now. 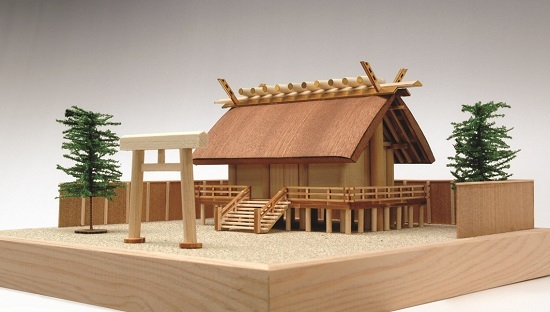 This entry was posted in Non-Ship Models, Shinmei-zukuri shrine, Woody Joe and tagged Japanese Shrine on April 28, 2017 by catopower. In my previous post, I went over the contents of the kit and gave some details about it, so I’m just going to dive in here and start Step 1. Progress will probably start a bit slow, since I’m describing some of the features of Woody Joe kits in general as I go. 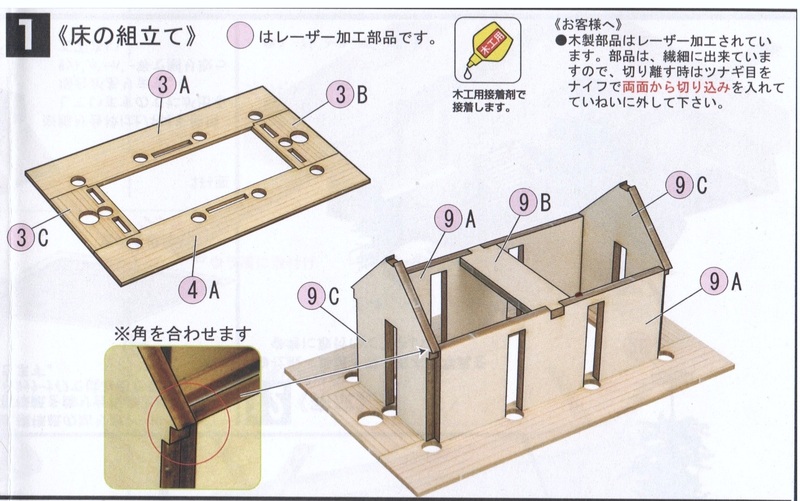 As I mentioned before, the instructions are very well illustrated and it looks like you should be able to build it without being able to read any of the text. However, since I’m writing this blog, I figure I might as well translate what I can. 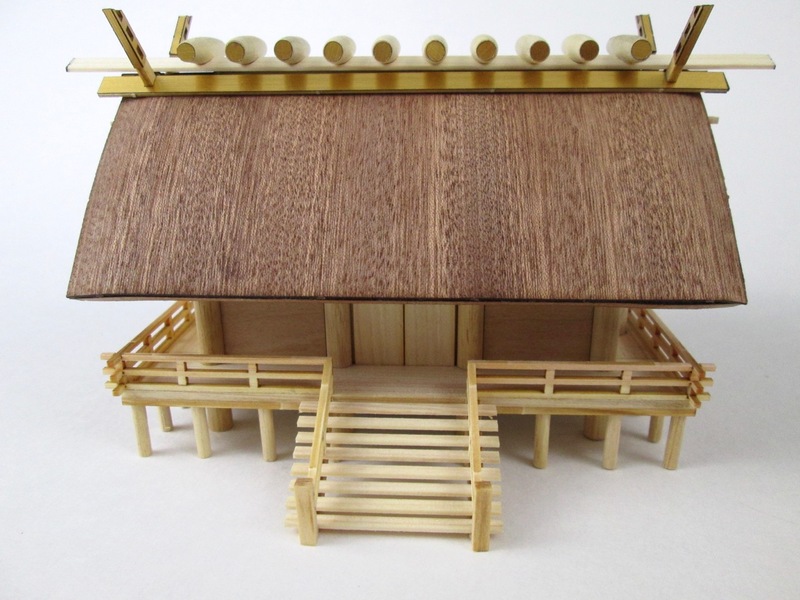 This entry was posted in Non-Ship Models, Shinmei-zukuri shrine, Woody Joe and tagged Japanese Shrine on April 24, 2017 by catopower.